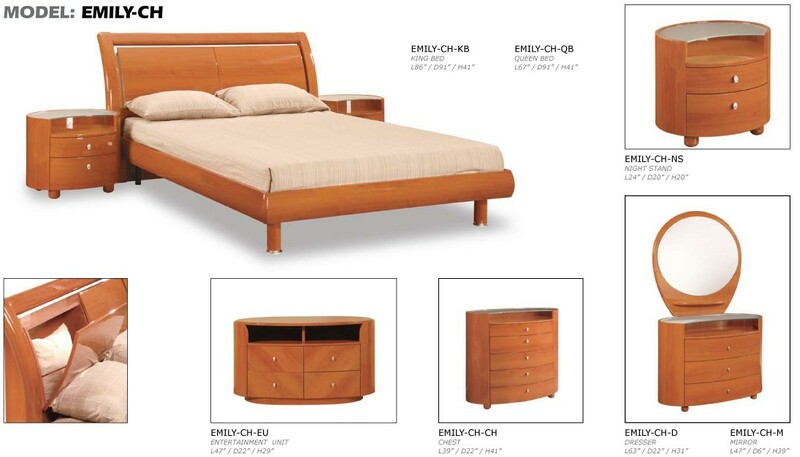 King Bed: L86" x D91" x H41"
Queen Bed: L67" x D91" x H41"
Dresser: L63" x D22" x H31"
Chest: L39" x D22" x H41"
Entertainment Unit: L47" x D22" x H29"
Loaded with features Emily bedroom set in cherry finish offers modern clean-cut style with platform bed that contains storage compartments inside the headboard. 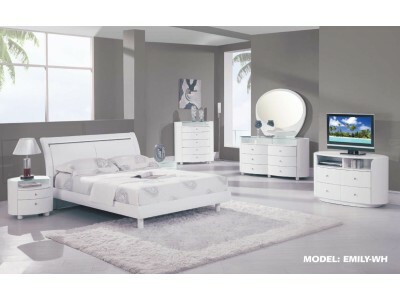 Rounded shape dresser, chest and nightstands are accented by thick strong tempered glass tops and smooth side glides drawers. 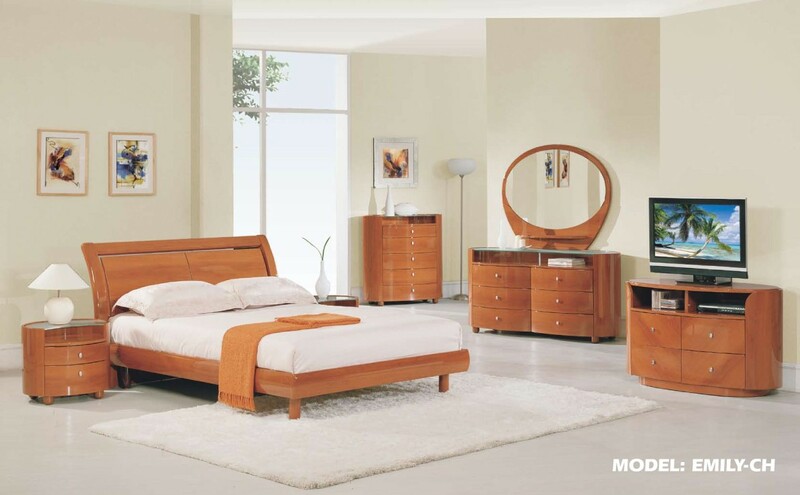 Available in full, queen or king sizes this durable bedroom set comes in a cherry lacquer finish which guarantees to protect it from any scratches.